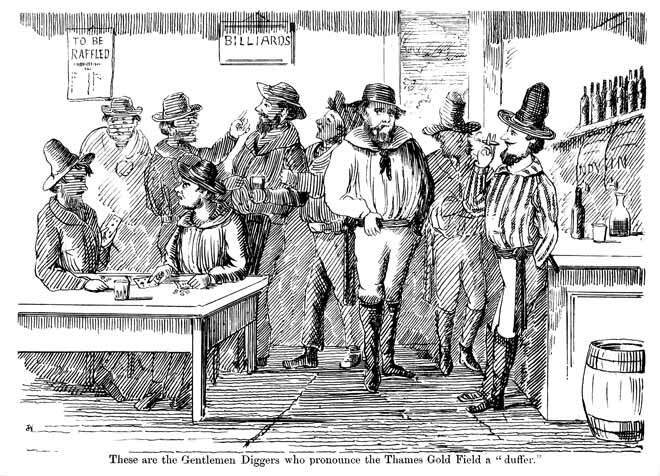 This drawing shows Thames gold miners relaxing at a local bar. In evidence are three types of gambling that were commonplace during this period. There is card gambling at the table, while billiards and raffles are advertised on the wall.